I. Jordan is reacting furiously against ISIS after her captured pilot was brutally executed. Jordanian planes are in the air against numerous targets and there is even talk about a ground invasion against Syria! Jordan's king must be careful, or his minority government might be overthrown by the majority citizenry, the Palestinians! II. Supreme Court is scheduled to rule today on "Physician Assisted Suicide! America's spiritual decline will be accelerated if the High Court rules that doctors can assist a patient to die. Furthermore, this path is the one Hitler took in Germany to begin the Holocaust; he threw the machinery of government behind the killing of patients already occurring! Watch the trailer or order. Common Core is a new label for state -controlled public education standards in an ongoing attempt to dumb down' the American educational system, a struggle that has raged for decades. Common Core will cause some students to become confused and to give up on academics. Are you horrified at the limited reading skills of children and young adults today? Just wait until this curricula has been taught for ten years! Few people will be able to read anymore. We are NOT advocating that Christian parents aggressively try to reform the public school system from within. That concept is NOT biblical, has been tried for 40 years, and will never work. Scripture commands families to provide Christian education, not a secular or godless education. We advocate that Christian parents remove their children from public schools to enroll them in the safe sanctuary of private Christian schools, home school or online Christian education. This 'Call To Action' is Biblically based! Many parents today refuse to address the spiritual forces endangering their childrens beloved eternal souls in public schools. Many are too in love with the worlds system - even if they have to send their precious children to a pagan, atheistic, hostile public school. Our approach is Biblical, following the express teaching of the Bible on how to raise and educate children, an essential part of our Christian walk of faith and obedience to Christ. We are hopeful that the Holy Spirit will use this message to spark the next revival. Speakers include: Ray Moore - Exodus Mandate, and Executive Producer of 'IndoctriNation' - will be the featured speaker. Dr. Carl Broggi, Pastor, Community Bible Church. 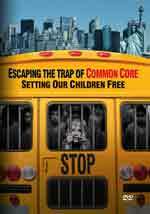 If you could possibly help us out with a donation to properly fund this monumentally important goal of producing this DVD warning of the dangers of Common Core and providing a workable solution, we would greatly appreciate it. Common Core is both an educational and a spiritual problem and, as such, we are praying that the Holy Spirit trigger an End Times revival on the level of the Great Revival of 1741. 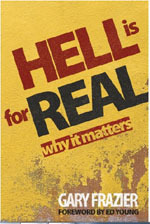 "Hell Is For Real: Why It Matters"
Americans need this teaching, badly. According to the results of recent surveys, Americans overwhelmingly believe that Heaven exists, though a much smaller number believe that Hell exists, with only one-half of one percent believing they will go there when they die. After reading 'Heaven Is For Real', a discerning Christian will probably feel uncomfortable, for the almost subliminal message was that, eventually, all people go to Heaven. Since the book did not provide the Biblical road to Heaven, it leaves a message that all people will go there -- eventually. 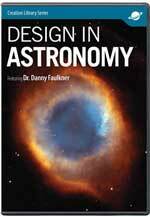 To counter this eternally dangerous misunderstanding, Dr. Gary Frazier has written this great book. Since the danger to peoples souls is so great and is ETERNAL, Frazier speaks boldly and compassionately as he teaches the full Biblical teaching about what Hell is and why it is so terrible. Most of Frazier's warnings come directly from the lips of Jesus, since He taught more about Hell than about any other subject, and more than any other inspired Bible teacher. "Karak, Jordan (CNN) -- Two days after news emerged that ISIS had burned a captive Jordanian pilot to death, the Middle Eastern nation hit back, and is promising more. Fighter jets carried out airstrikes Thursday ... This is just the beginning and you shall know who the Jordanians are," the armed forces said in a statement on state TV." What kind of targets did Jordan single out? "They claimed hits on ISIS training centers, arms and ammunition depots: 'All targets were completely destroyed and all the planes returned to their bases safely ... We are upping the ante. We're going after them wherever they are, with everything that we have. But it's not the beginning, and it's certainly not the end', Judeh said." American airplanes flew alongside the Jordanian fighters providing technical support like jamming ISIS radar and communications and surveillance capabilities. This development is very powerful and clearly brings Jordan into the fight against ISIS. Suddenly, it seems that Jordan is committing significant military sources to the battle against ISIS. The Jordanian King is reacting with unusual resolve after the brutal execution of the Jordanian pilot. He seems to be considering all military options, including a ground invasion. But, which country would he invade with a ground force? If he struck ISIS targets in Syria, would President Assad react negatively and order his forces to strike back? ISIS forces in Iraq are further away and are concentrated in the northern part of Iraq. A Jordanian offensive could cause progress in Iraq's economic development and produce a far more negative result than anything ISIS has inflicted. No, it would seem that Jordan would limit its ground invasion to Syria. However, Jordan faces a severe threat from within! The majority of her citizens are Palestinian, and are considerably more supportive of ISIS than is the more Western King. Did you know that the Palestinians under the leadership of Yassir Arafat, attempted an armed coup against the Jordanian King in 1979? The danger is that the Palestinians might react just as furiously against the King for his attacks on ISIS. The officers of the Jordanian air force are carefully selected for their loyalty to the King and for their Hashemite background. But, the Army has a considerable percentage of men of Palestinian background. Jordan's king must be careful, or his minority government might be overthrown by the majority citizenry, the Palestinians! When ISIS murdered that pilot, they might have struck the first blow to topple the pro-Western Jordanian king! 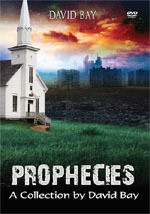 Why are so many pastors so reluctant to teach prophecy? 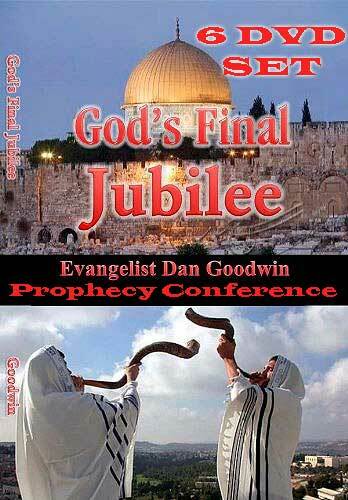 "The Prophetic Beast Arises: Ten Toes of Daniel Are Forming"
"Rapture Precedes Israel's Final 'WEEK' of History"
"Eternal Security: God's Anchor In A Brutal Storm"
"End Times' Judgment On Iraq (Babylon) Worse Than Believed Possible - Isaiah 13"
"Israel's Prophesied Annihilation of the Palestinians"
"America Identified In Prophecy: Economic Babylon of Revelation 18"
"The Supreme Court will rule today on a question it last considered more than 20 years ago: should it be legal for doctors to help dying patients kill themselves ... The case that will be decided Friday was brought by the B.C. Civil Liberties Association on behalf of two women, Kay Carter and Gloria Taylor, both of whom have died since the legal battle began. Both women had degenerative diseases and wanted the right to have a doctor help them die. Carter went to Switzerland with her daughter, Lee, to die. Taylor died of amyotrophic lateral sclerosis (ALS)." "A lawyer on behalf of Carter and Taylor argued that they were being discriminated against because their physical disabilities didn't allow them to kill themselves the way able-bodied people could. Further limiting their options, as degenerative diseases progress further, patients can lose the ability even to swallow." You can forget all the details of these two cases, because the issue is far, far broader and more serious. Because our government is planned to be overthrown as soon as the New World Order is established, and replaced by an Absolute Dictatorship, a Supreme Court decision to allow physician assisted suicide would place enormous power in the hands of the new dictatorship. The last time a country was quietly killing disabled patients prior to the rise of a dictator, was in Nazi Germany. 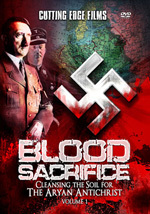 When Adolf Hitler arose to seize power in 1933, he replaced a democratic government. Immediately, Hitler threw the machinery of his new dictatorship behind the civilian effort to quietly murder disabled and devalued patients. Twelve years later, almost 20 million people had perished, including 6 million Jews! After a period of bitter battling [Step 4], the door is opened just a crack [Steps 5-6], allowing the objectionable practice to occur under "severe" or "strict" guidelines. Advocates know that, if they can force the door open just a crack, they will very soon be able to force it open completely. This Plan worked to perfection in the case of Abortion, and now it is working to perfection in Euthanasia. And, once this type of murder becomes legal, and once our government turns into an Absolute Dictatorship, then the concerted killing of all devalued people can begin. Make no mistake about it, dissidents and minority religious members can and will be counted by this new government to be worthy of death! Antichrist will be on the world scene by then. He can achieve his goals more easily once murder of innocent civilians becomes legal. 3) Are We The Last Generation? 5) What In The World Is Going On? 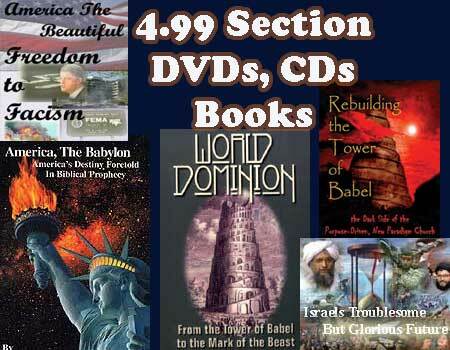 6) Seven Pillars of Biblical History. 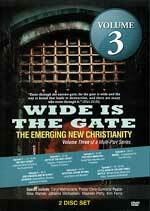 "Wide Is The Gate" Volume 3 DVD Is Now Instock!
" Hyper Charismatic and Pentecostal Movements"
This final Volume features the Hyper Charismatic and Pentecostal Movements represented by a variety of names and leaders. This supposed 'new move of the Holy Spirit' coined as the New Apostolic Reformation (NAR) is also known as Third Wave, Manifest Sons of God, Latter Rain, Kingdom Now, Word Faith, Fresh Fire, and has many other names! 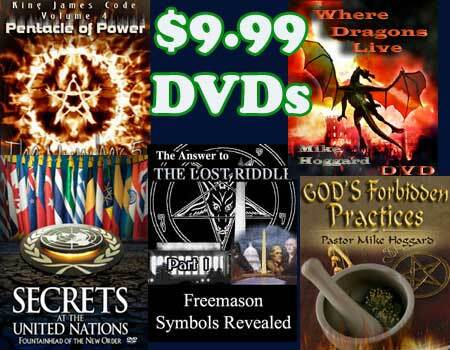 Poignant testimonies of former members recount the subtle ways they were enticed into believing they were part of something "new" God was doing, only to come to the sober realization that they had been ensnared by unholy spirits. Through careful Biblical analysis, well known experts help unravel the tragedy of growing deception in the Church masquerading as Revival, Renewal and vibrant New Christianity. The apostle Paul told the Corinthian Christians, 'Now concerning spiritual gifts, brethren, I would not have you ignorant'. Sadly, today many people are confused about the person and work of the Holy Spirit. Are the gifts of the Spirit for today? 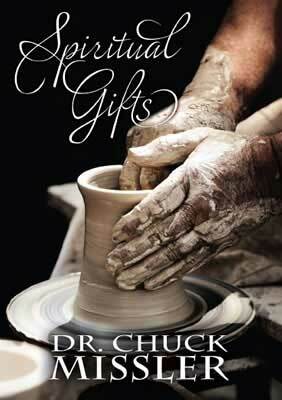 Do all Christians have spiritual gifts? What is the greatest sign of being filled with the Holy Spirit? 30 Titles From Which To Choose! Western Mass Media Reports That The Russian Economy is Crashing! Shia Iraq is being built-up just as the 2007 Pentagon's New Map reveals! Imagine a world without Saudi Arabia being so powerful.